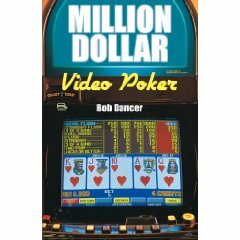 Bob Dancer is not just another video poker author that you can find on a bookshelf in every shop. He’s a legendary video poker player who is known among hundred thousands players among the world. He came to Las Vegas with $6,000 and in just six years he managed to win more than $1 million playing only video poker! In this book he makes a deep analysis of his mistakes, reveals his own gaming secrets and gives complete explanation of gaming strategies he uses. You will never find information like this in any other video poker book. Don’t miss this unique opportunity to learn video poker with the help of top rated professional.